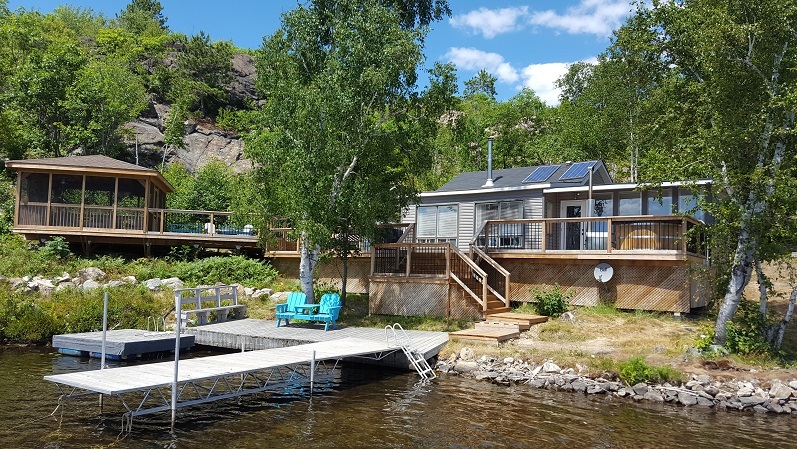 Enjoy this completely isolated and quiet waterfront cottage with all the conveniences of in-town living. 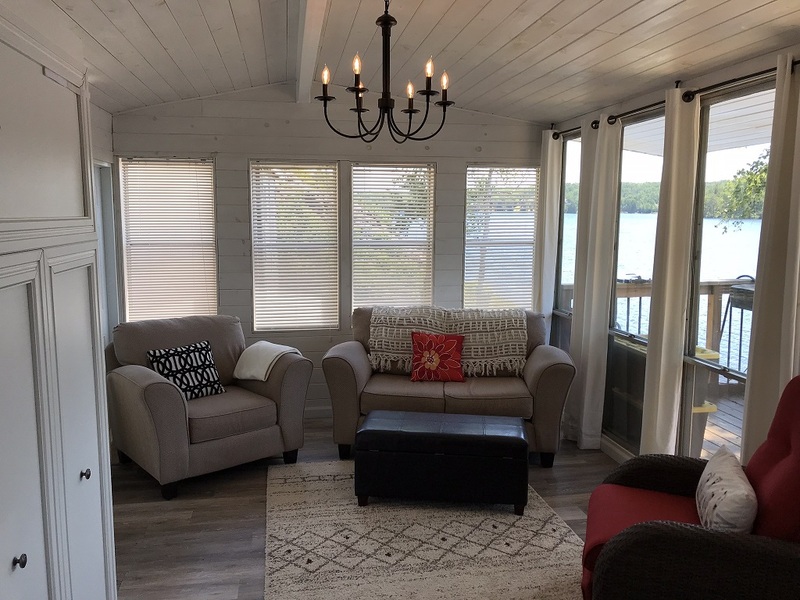 A 5 minute ride across the lake and a 5 minute drive gets you to all your shopping needs in the South End (Walmart, LCBO, Restaurants, Grocery Stores). 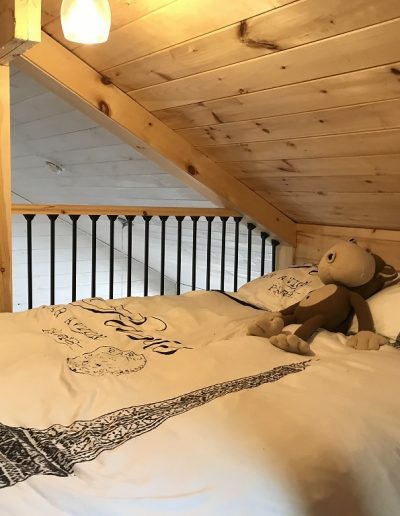 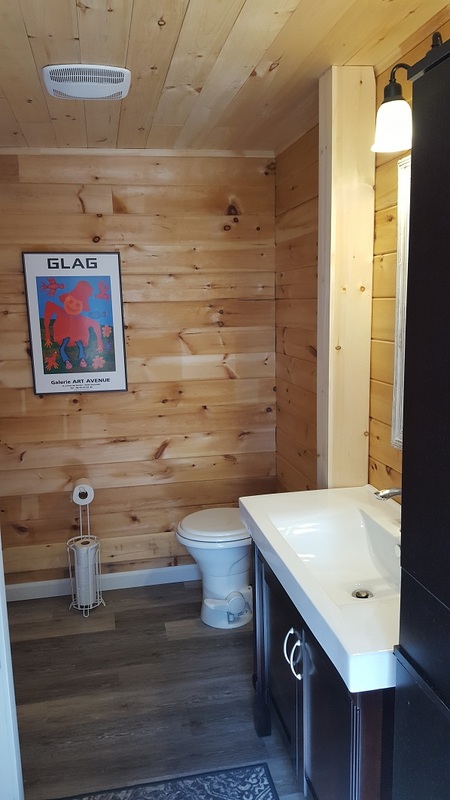 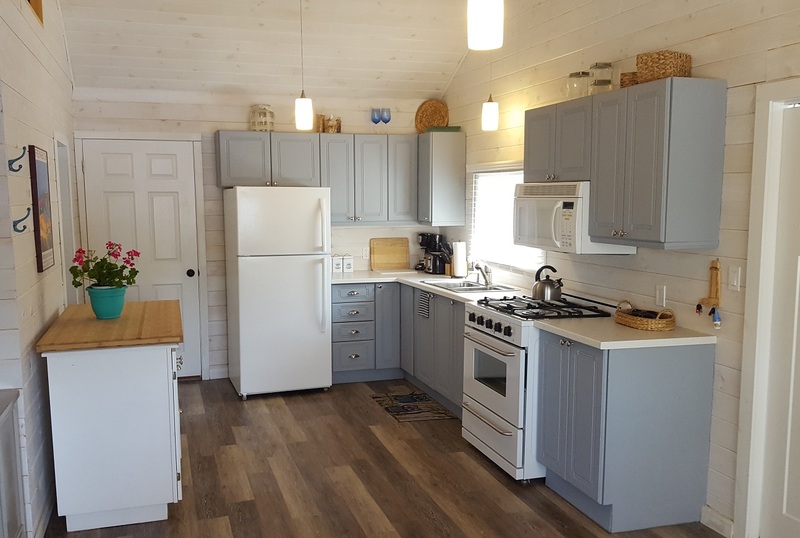 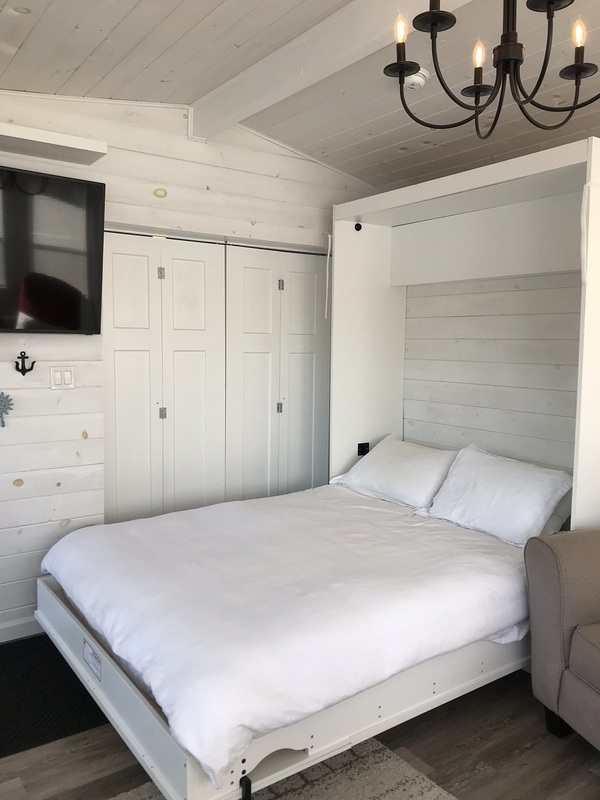 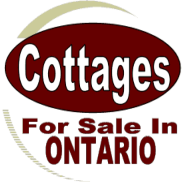 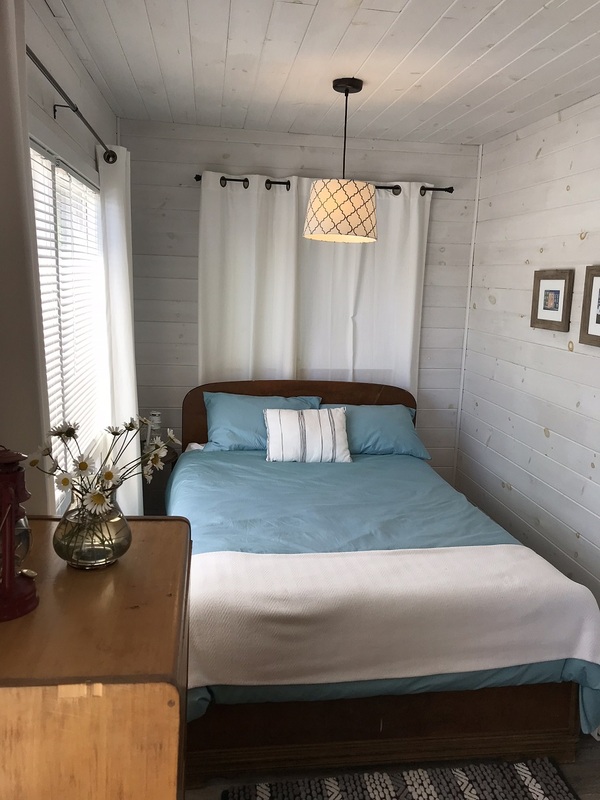 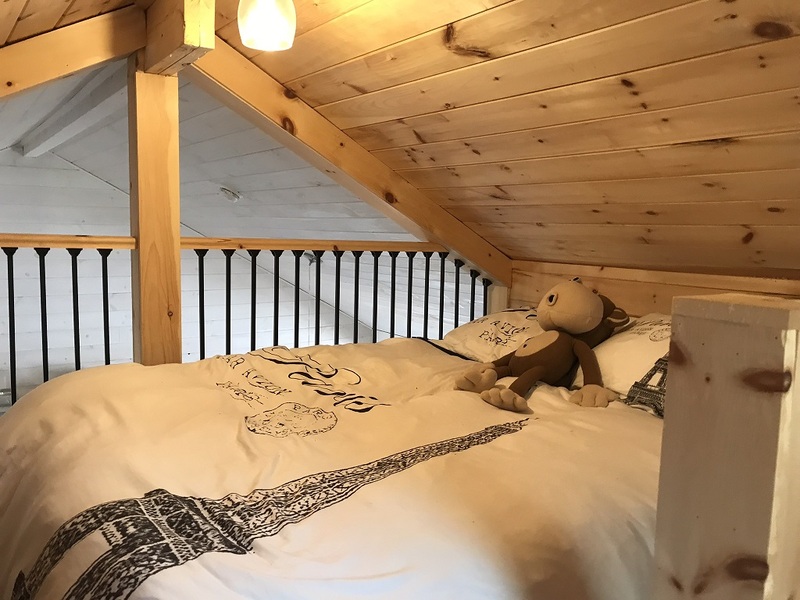 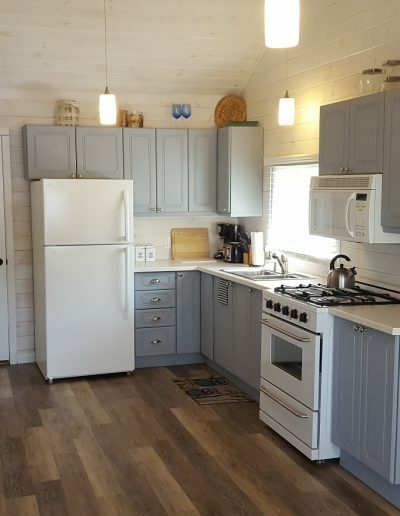 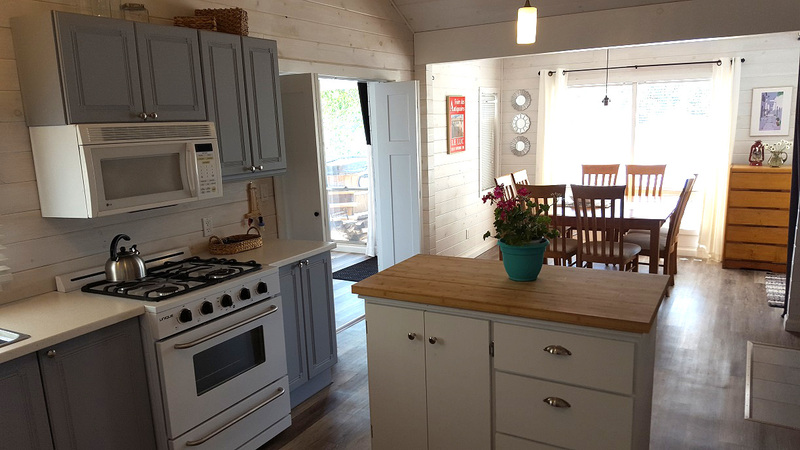 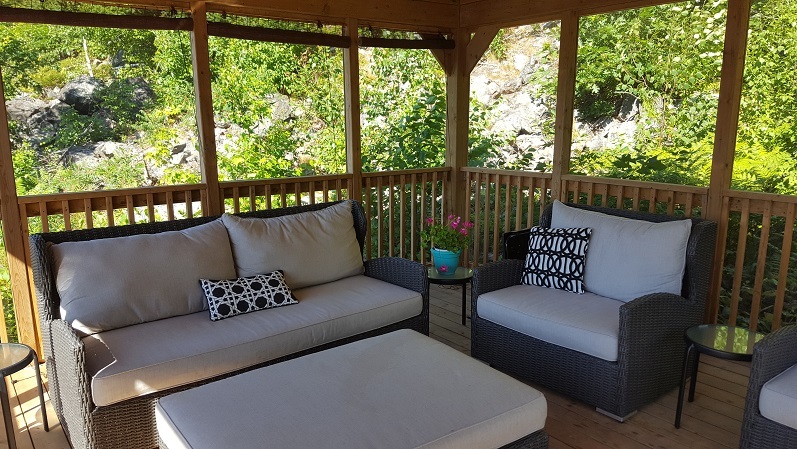 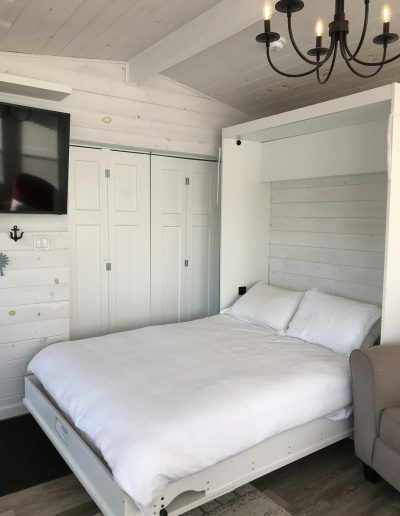 This luxurious cottage sleeps 8 comfortably and is completely turnkey with new white pine throughout, new laminate tile flooring, new fixtures, new siding and roof, new decks, new gazebo, new low amp full size electric fridge, new gas stove and microwave. 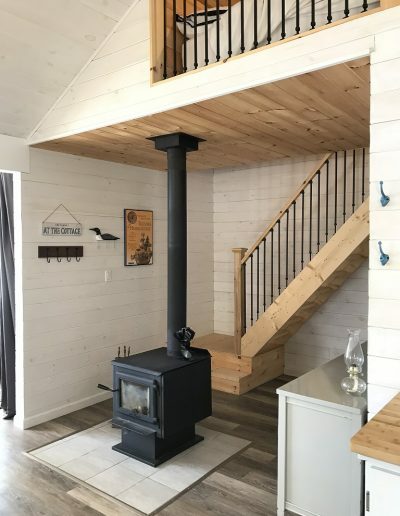 Spray foam insulation in walls, ceilings and floors, a new wet-certified high efficiency wood stove and 3 new high efficiency propane heaters ensure a comfortable stay year round. 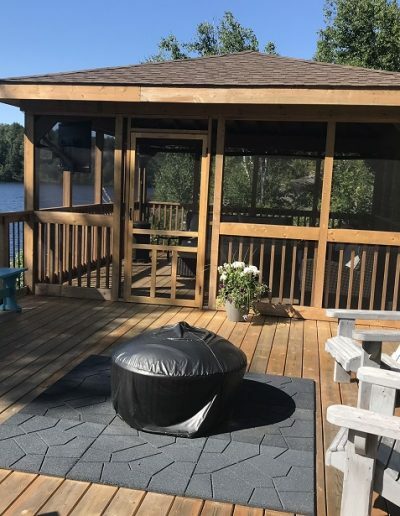 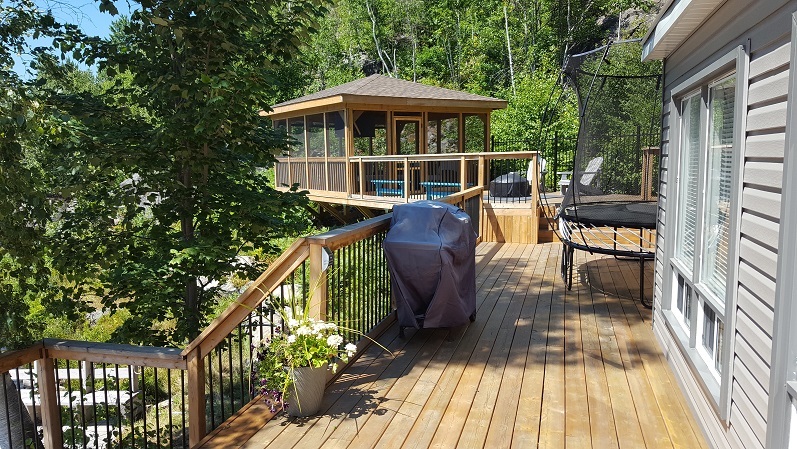 It offers a new cedar hot tub which can be used every season and a large screened in, wired gazebo with beautiful lake views and lots of deck space ideal for outdoor living. 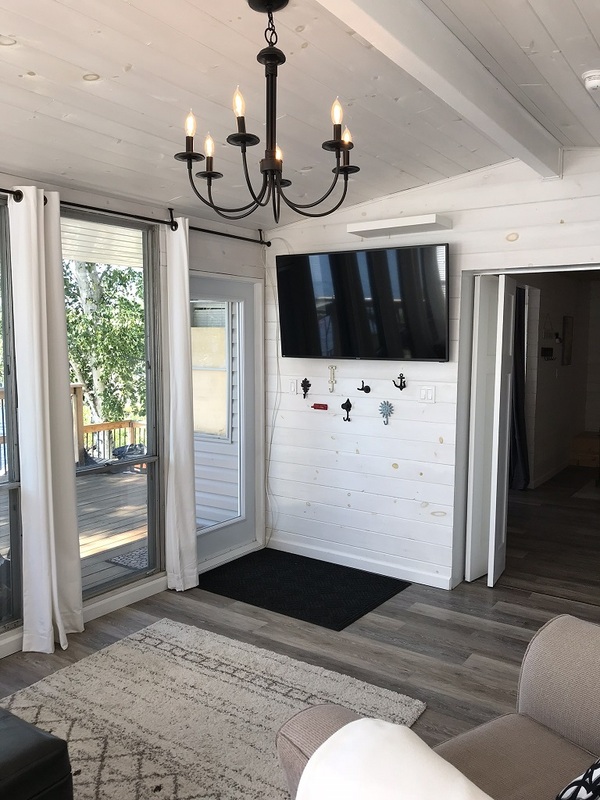 No more utility bills with this brand new expandable solar system with new wiring throughout for complete off-grid living but with all the conveniences of home. 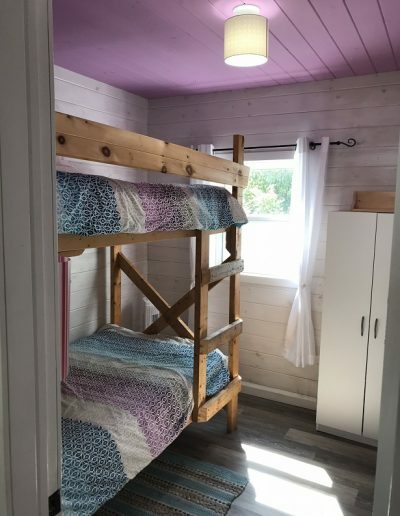 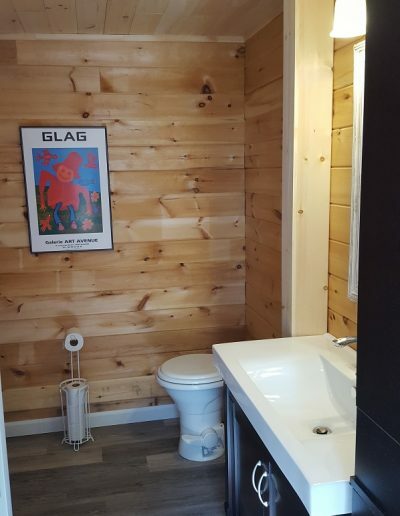 Includes a full indoor bathroom complete with a large shower. 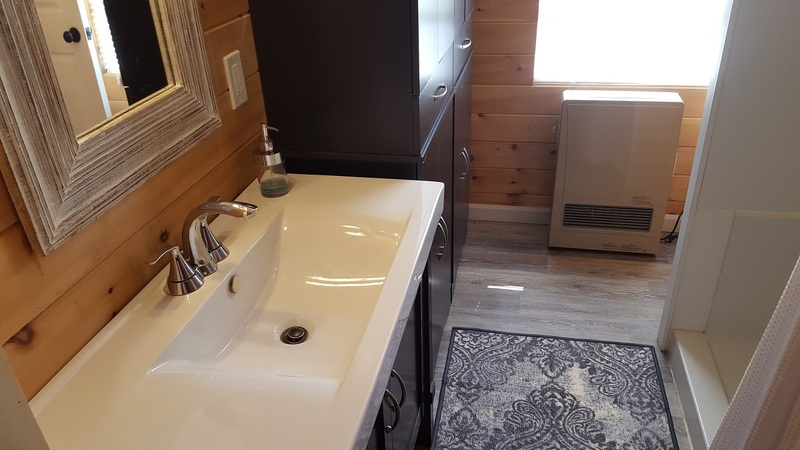 Winterized technology with super quiet 3,000 watt Honda generator and a back-up generator system with separate electrical panel. 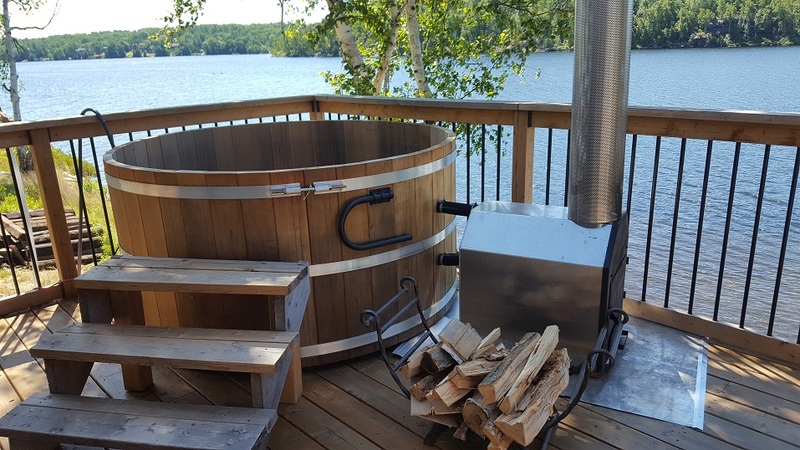 New electric wood spliter with 5 cords of wood. 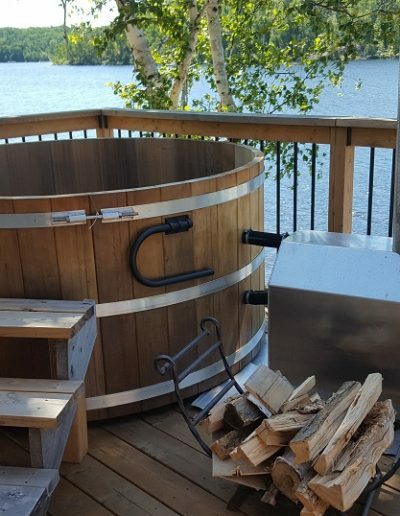 New propane system including hot water tank and a winter water system. 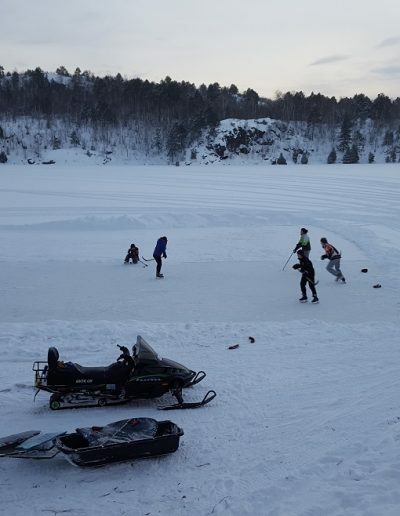 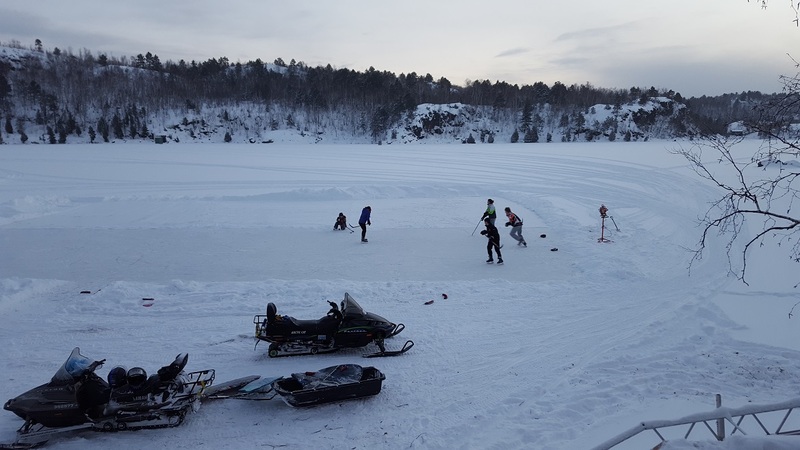 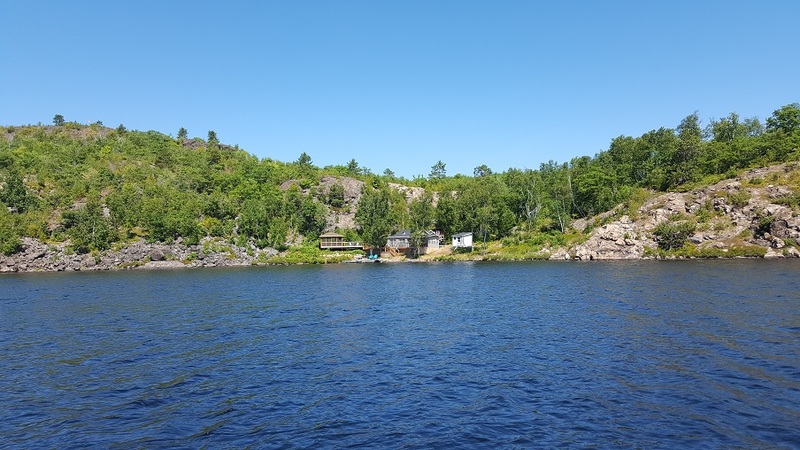 Good fishing, swimming, kayaking, canoeing, hiking, etc, right on the Ontario Snowmobile Trail Plan. 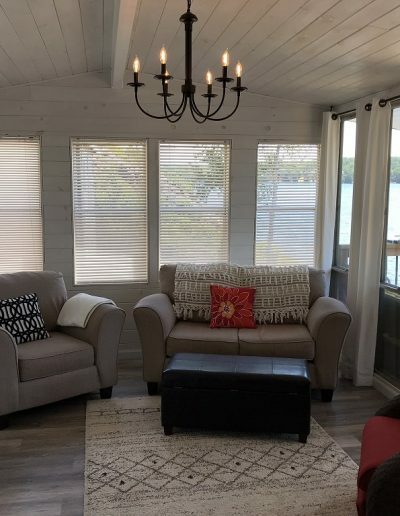 Sand bar around the bend. 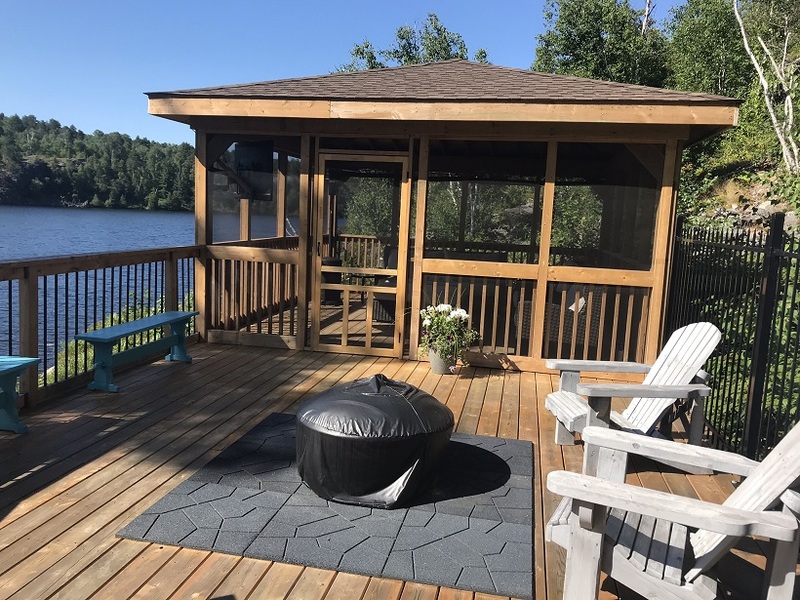 Includes 2 storage sheds – 1 can easily be converted back to a sauna. 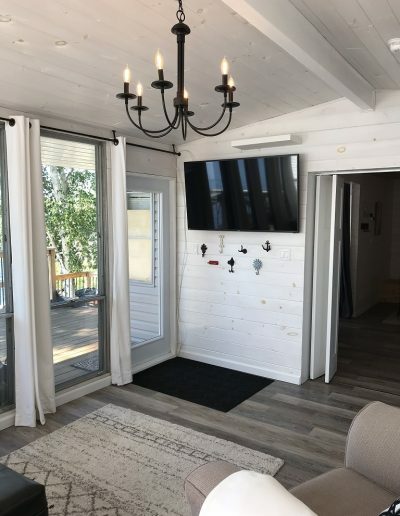 Satellite TV and wifi hubs work perfectly. 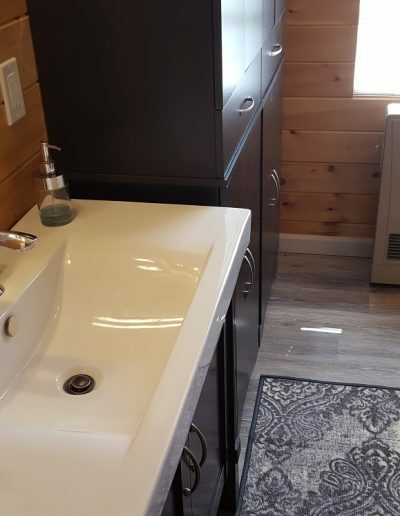 Convenient access dock. 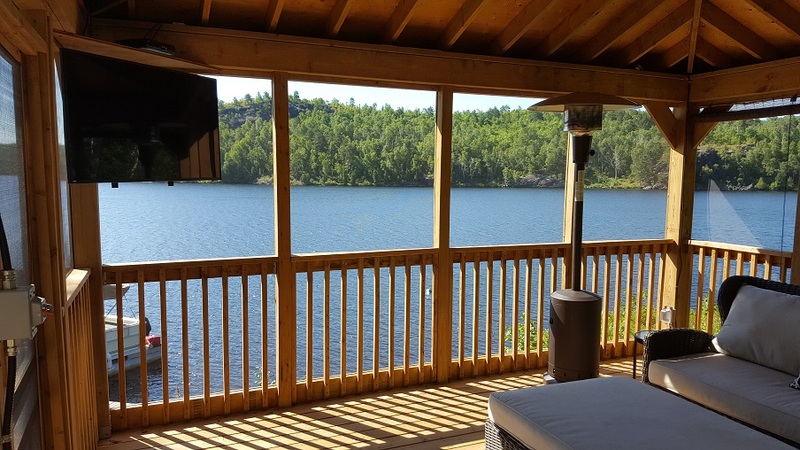 200 feet of water frontage and 1 acre of property surrounded by crown land. 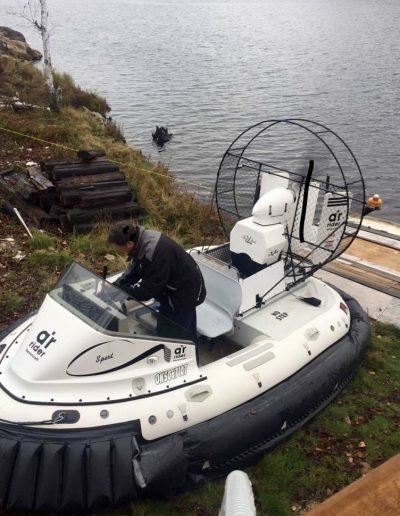 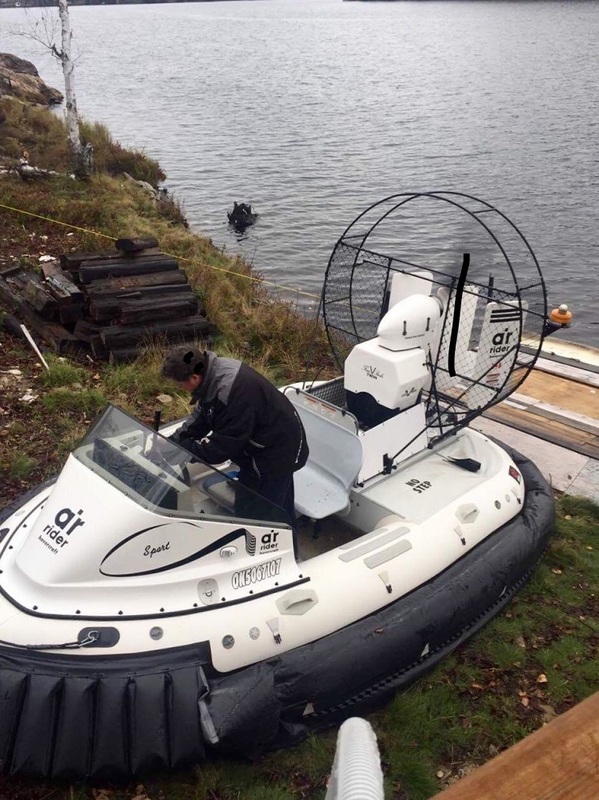 Hovercraft also available for purchase for easy access during those few months between ice and water. 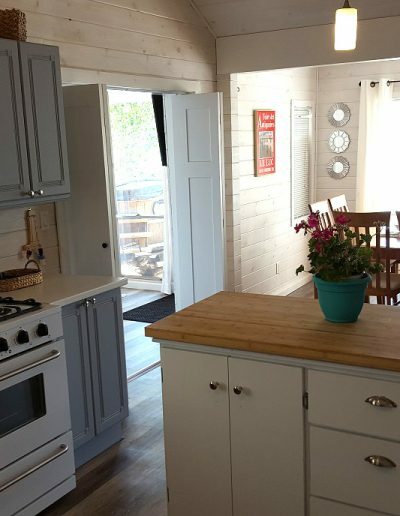 If you’re looking for the perfect escape, you’ll love this very unique cottage, completely surrounded by nature with no neighbors in sight and no traffic noise, yet minutes from all the amenities.